NEW YORK (JTA) – Former Starbucks CEO Howard Schultz has said he is “seriously thinking of running for president,” and a lot of people aren’t happy about it. 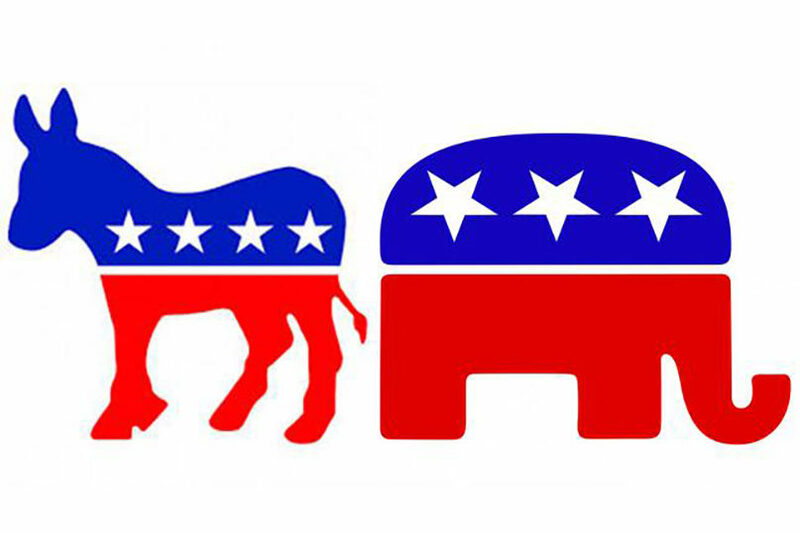 Others think that Schultz, who has publicly lamented the polarization of the Democratic Party, has actually done Democrats a favor by warning them that there is still a large contingent of moderate voters whom they shouldn’t neglect leading up to ’20. 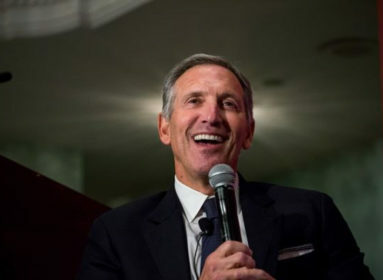 Regardless of perspective, the potential for a Schultz campaign has shaken up the political landscape. The 65-year-old, whom Forbes estimated last year has a net worth of approximately $2.9 billion, has an intriguing backstory, from growing up in a working-class household in Brooklyn to making Starbucks into the global giant it is today. 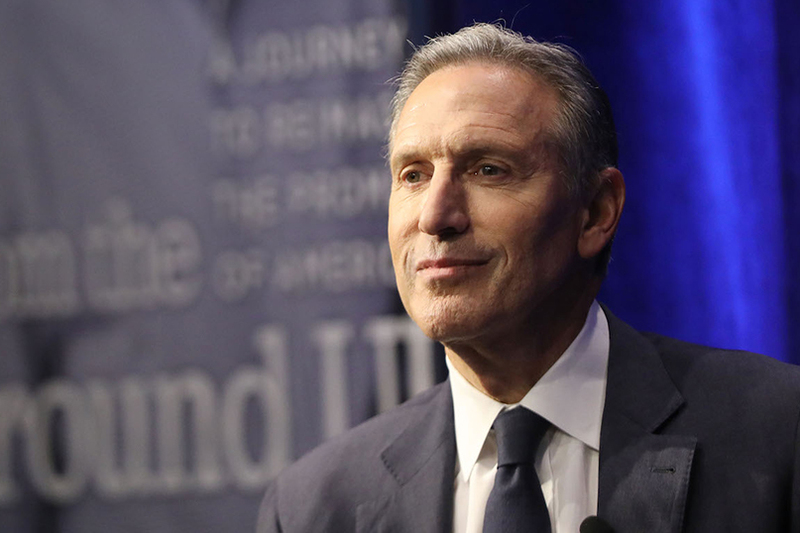 Schultz grew up in federally subsidized housing in Brooklyn and his father, a World War II veteran, had a series of blue-collar jobs, including delivering cloth diapers. In a 2011 article for the Jewish website Aish, Schultz recalled coming home to find his father on the couch with a broken leg. It wasn’t the first time Schultz caught fire from pro-Palestinian activists. They have claimed his receiving the Aish award in Israel, as well as remarks he made at a Seattle synagogue in 2006 regarding the rise of antisemitism in the Middle East, show that he is anti-Palestinian. The question of whether kosher observers can enjoy Starbucks coffee isn’t a straightforward one to answer. Star-K used to keep a list of beverages that were “kosher-friendly,” meaning the agency deemed them permissible to consume without actually certifying them as kosher. But in July, Star-K said it could no longer vouch for those products. The agency now provides a more limited list of kosher-friendly products. After Charlottesville, Schultz spoke about being Jewish to his employees. Starbucks came under fire for including ADL in its diversity training. After a Starbucks employee at a Philadelphia shop called police on two black men and had them arrested last year, the company announced that it would launch a new diversity training program. Starbucks said it consulted five civil rights leaders, including Anti-Defamation League’s national director Jonathan Greenblatt, to develop the anti-bias training.